Paul Pogba says he has complete faith in his United Team-mate as they prepare to take on Manchester City on Sunday. The prolific midfielder was sent off toward the end of his side's 3-1 win against Arsenal at the Emirate last week, ruling him out of the Manchester Derby. Manchester City has look impressive this season and every team has found it difficult to defeat Pep Guardiola's side. 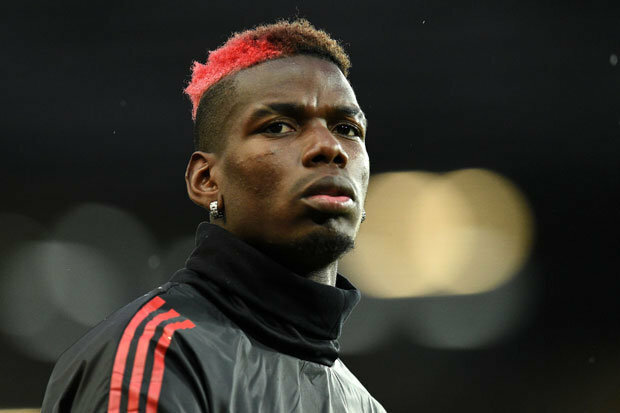 "I'm very disappointed because I really want to help the team and wanted to be there for this derby because obviously we are playing City and in this moment we need points and we need to win," said Pogba, whose team, in second place, trail Pep Guardiola's men by eight points. "Unfortunately I won't play but i will be there to help the team mentally," he added. "We need to (attack City from the start). To win those games you need to give everything. "You need to be there offensively, defensively. "Kill the game when you have one chance because they are City and they have quality as well in front and they can kill the game at any time." "I have complete trust in the team," the 24-year-old said. "Even if i am not there, I will be there watching the game, giving positive energy and hopefully we are going to win." Do you think Paul Pogba is a great miss for Manchester United for the Manchester Derby?